Korean born, SangEun Lee is a Principal dancer with the Semperoper Ballett and trained at the Sunhwa Arts High School Seoul, South Korea. SangEun successfully participated in several competitions, her awards include 3rd Prize Varna International Ballet Competition (2008), Second Prize Shanghai International Ballet Competition (2007), New Artist Award Korean Ballet Association (2006), Grand Prix Prize Seoul International Ballet Competition (2005), Gold Medal Korean Ballet Competition (2004), Finalist Prix de Lausanne (2004) and Semi-Finalist Asian International Competition Japan (2001). Before joining the Semperoper Ballett SangEun was a Soloist with Universal Ballet Seoul, South Korea. Her repertoire includes roles such as Odette/Odile in Swan Lake (Aaron S Watkin after M.Petipa & L. Ivanov), The Sugar Plum Fairy in The Nutcracker (Aaron S. Watkin/Jason Beechey after M. Petipa), The Lilac Fairy in Sleeping Beauty, Hamsatti in La Bayadere (Aaron S. Watkin after M. Petipa) and created the role of Doña Dulcinea in Don Quixote (Aaron S. Watkin), 1st Solo Pair in Emeralds, Principal Couple in Diamonds from Jewels, 2nd movement Principal Couple in Symphony in C, and Calliope in Apollo (George Balanchine), Myrtha in Giselle (David Dawson) and In The Middle Somewhat Elevated, Impressing the Czar, Enemy in the Figure, The Second Detail and Artifact Suite (William Forsythe). Additionally, throughout her career she has been involved in numerous creations and Principal/Soloist roles in works by Jiří Kylián, Ohad Naharin, Johan Inger, Alexander Ekman and Stijn Celis. 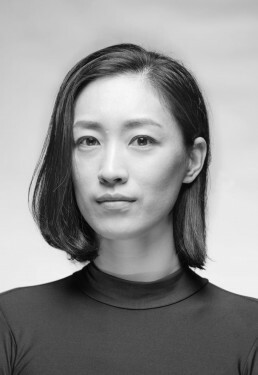 She has also appeared in several international ballet galas such as the World Gala Seoul Korea where she performed the world premiere of REMINISCENCE by Craig Davidson.